Insurer reports increased premiums despite rates increases. The fire at the Royal Marsden Hospital in London contributed to RSA’s UK division reporting flat operating profits in the first half of 2008. The insurer said that despite an absence of severe weather-related claims, such as last year’s flooding, a higher level of large losses had hit its underwriting profits. RSA reported UK operating profit of £230m for the first half of the year, compared to £232m in the same period last year. RSA said the large losses, including the Royal Marsden fire, cost £30m. Last year’s flooding cost the company £50m in the first half of 2007. Despite tough market conditions, gross written premiums rose 1% to £1.4bn. Bridget McIntyre, RSA UK chief executive, said the group’s results had been a good first half for growth. “We have continued to produce a strong performance in challenging trading and economic conditions,” she said. McIntyre said the company had continued to withdraw capacity from lines of business that did not produce targeted levels of return, such as small and mid-corporate property. £170m of business had been turned away for this reason. RSA said that the UK market was showing encouraging signs of recovery, as other insurers had begun raising premium rates. McIntyre said the company had previously been on a “lonely journey” in raising prices, but now had company. 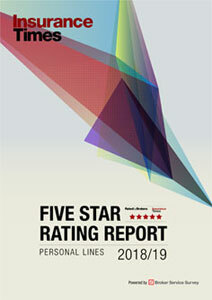 RSA had increased renewal rates across its personal lines and commercial lines by as much as 8% compared to June 2007 in some classes. Overall, the group produced operating profits of £440m for the first half of the year, up 9% compared to the same period last year. Investment bank Citigroup said RSA’s rate increases were well ahead of the rest of the insurance industry and the results showed the company to be managing the tough market conditions better than its peers. With the half-year results now in for insurance giants Norwich Union and RSA how do they stack up? What is clear is that, despite the first six months of the year being free of any significant weather-related losses, the UK market continues to be a tough one in which to do business. NUs general insurance business reported an operating profit of 326m pounds compared to 284m pounds for the first half of 2007, when the floods caused the insurer 235m pounds of damage. The challenging conditions can be seen in the individual performances of the various lines of business. The personal lines market was tough for both companies. Both made efforts to increase rates in home and motor lines, but RSA saw its personal lines underwriting profit fall to 6m pounds in the first half of 2008, from 19m pounds in 2007. The main contributor to the fall in profitability, was RSAs private motor which produced an underwriting profit of less than half what it was in 2007 (6m pounds compared to 15m pounds)). 2007 performance, where an underwriting loss of 171m pounds was posted for the first six months of the year. But the improvement was down to an improvement in NUs household book which was hammered by last years floods. In contrast, the companys motor book fared worse, plunging further into loss, while NUs other personal lines classes fell collectively into the red. 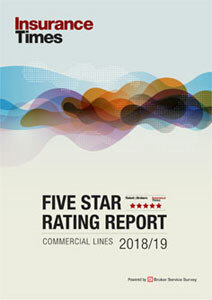 The commercial lines market was also hard work, particularly for NU which saw the underwriting result on its commercial book tumble to a profit of 85m pounds compared to 124m pounds in 2007. NUs commercial motor book reported an underwriting profit of 22m pounds , half of what it was in 2007, while the commercial property book produced a 9m pounds loss. In contrast, RSA reported an increase in its commercial lines underwriting profit, 42m pounds compared to 32m pounds in the previous year. This was despite the commercial property book producing a loss of 17m pounds (down from a 9m pounds loss last year) on the back of large losses, and a lower casualty result (an 8m pounds profit from 23m pounds profit in 2007). Overall, NU reported an underwriting profit of 37m pounds in the first six months of the year, compared to a loss of 46m pounds in 2007. RSA produced an underwriting profit of 48m pounds down from 51m pounds last year. losses of 2007, a straight comparison with that years performance is difficult. Looking back , in the first six months of 2006, NU reported an underwriting result of 222m pounds, while RSA produced an underwriting profit of 95m pounds. As such, NUs underwriting profit has fallen by 85% from 2006 to 2008, while RSAs result has fallen by a half. RSA blames large losses in the first half of 2007, such as the fire at the Royal Marsden Hospital in London at the beginning of the year, and lower prior year development, which have offset this years benign weather conditions. It also points to an overall decline in the profitability of the insurance industry. Adjusting for these factors the performance would be on a par with the 2006 figures, RSA claims. Banking group Citigroup said the UK underwriting result was in line with expectations and the rate increases achieved were well ahead of the industry. But NUs performance does raise some concerns, according to Citigroup. It describes the companys rebound from the flood-affected 2007 performance as anaemic and warns of significant underlying deterioration. NU describes its results as a solid performance and says it has been inching up rates. But it is of concern that four lines of business, including NUs whole personal lines portfolio, are producing underwriting losses. NU is focusing heavily on its cost base, including taking strong action on the consolidators commission levels. How this plays out, along with its efforts to increase rates, will be crucial going into the second half of the year.